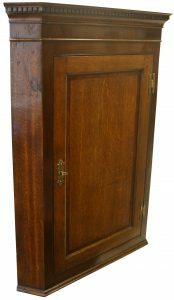 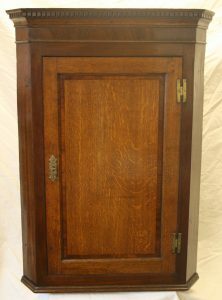 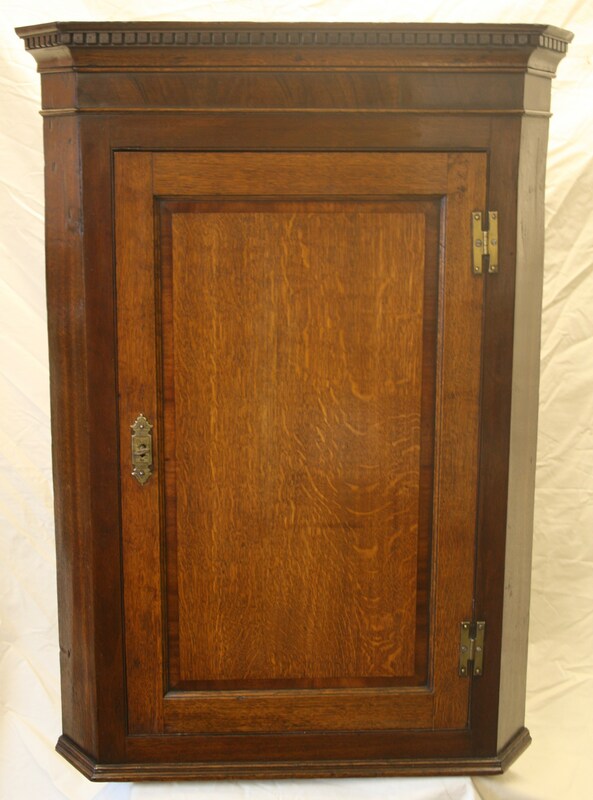 A George III oak corner cupboard. 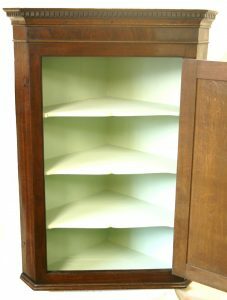 The dental cornice sits above a mahogany cross banded frieze. 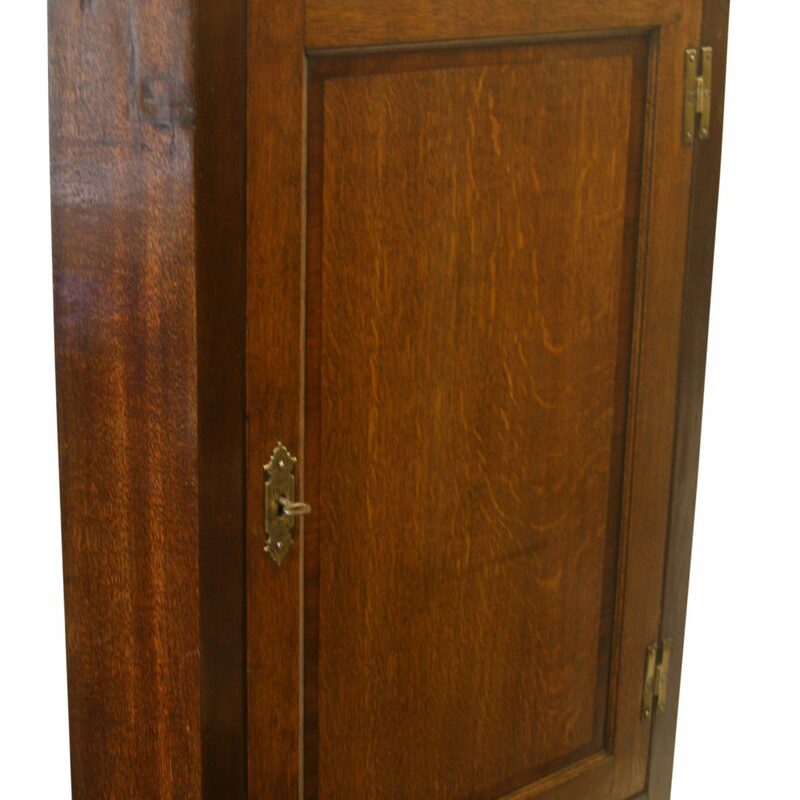 Beneath is a single panelled door with a mahogany surround. 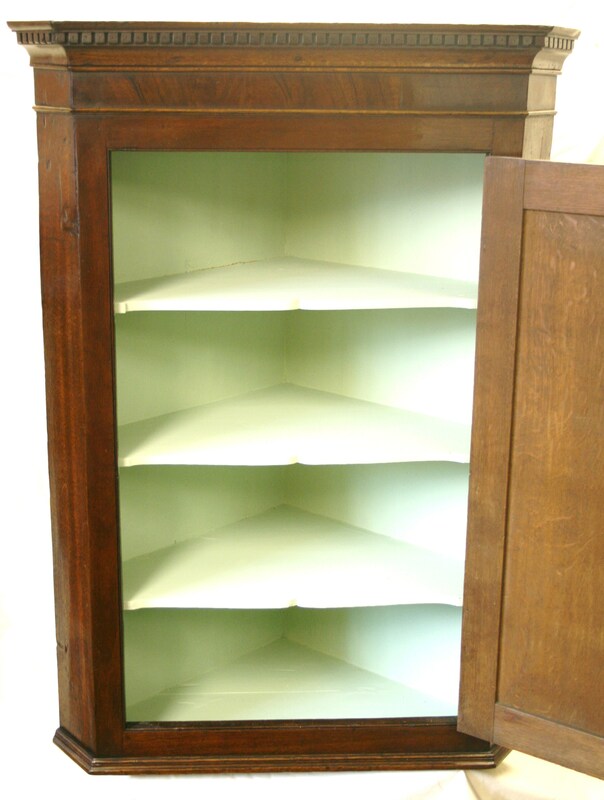 The painted interior has three shaped shelves and a base shelf.